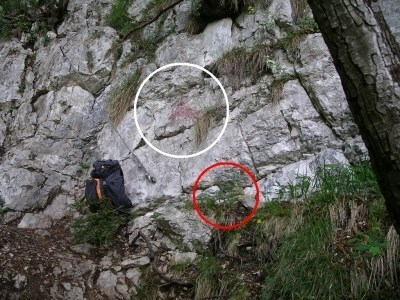 Se si parcheggia a Madonna delle Neve, si ha dopo la ca ferrata. 50 minuti in discesa per la vostra auto. È possibile parcheggiare al Passo del Pozzo Cola e devono camminare attraverso il paesaggio meraviglioso Madonna delle Neve. Dopo la ferrata che avete ca. 20 minuti in salita verso la macchina. 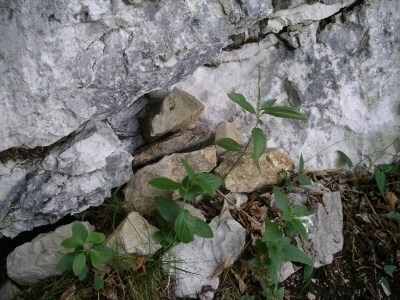 Dalla via ferrata a WP5. Qui dovete andare al vostro parcheggio Madonna delle Neve o Passo del Pozzo Cola. 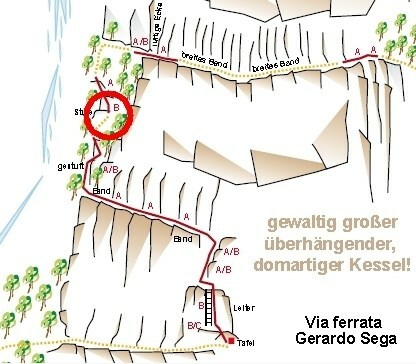 If you park at madonna delle neve, you have after the ferrata approx. 50 minutes downhill to your car. This is my preferred opinion. You can park at Passo Pozzo del Cola and have to walk through wonderful landscape to Madonna delle Neve. After the ferrata you have approx. 20 minutes uphill back to the car. From the via ferrata to WP5. Here you have to go to your parking area Madonna delle Neve or Passo Pozzo del Cola. 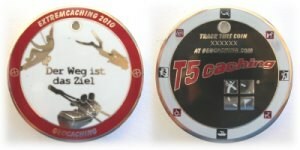 Jeder, der mindestens 1 MEINER T5-Caches geloggt hat (Foto, zum Beweis) kann diese Coin discovern. Mail an mich, und ich sende euch die Tracking-Nr. Im Log muß der Cachename gepostet und das Foto zum Log hochgeladen werden. Logs, die diese Bedingungen nicht erfüllen, werden gelöscht. Everybody who logged one of MY OWN T5-caches (only with photo to proof) can discover this coin. Mail me, I send you the tracking-no. In the log you have to note the cachename and upload the photo to the log. Logs without fulfilling this conditions will be deleted !!! Tutti quelli che registra uno dei miei T5-cache (solo con foto di prova), può scoprire questa coin. Invia una mail, anch'io mando voi il tracking-no. Nel registro si deve notare la cachename e caricare la foto per il registro. Diari senza rispettare queste condizioni saranno cancellati! Use TB3QB4X to reference this item or click here. [de] NUR von Cachern zu discovern, die mindestens 1 T5-Cache gefunden haben, bei dem ich auch schon war (gilt nur, wenn der Fund mit Foto bewiesen werden kann). Sendet mir per Mail welchen T5 ihr gemacht habt und ein Foto, das Euch beim Cache zeigt. Dann sende ich euch die Tracking-Nr. Im Log MUSS der T5-Cachename mit GC-Nummer gepostet werden und das Bild zum Log hochgeladen werden. [en] ONLY to discover from seekers with at least 1 T5-found of a cache, which I have already found too (only if you have a photo to proof). Please mail me, what T5-cache you found and attach a photo showing you at the cache and I send you the tracking-no. 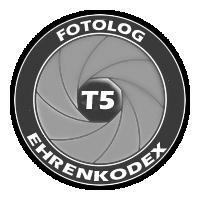 In the log you have to post the T5-Cachename with GC-Number and upload the photo to your log. Use TB4FYDB to reference this item or click here.